Mary has been a part of HHHunt since February 2013 and worked in customer service for over 10 years. She found her home with HHHunt and loves her current position as Community Manager at Abberly Village. Born and raised in Columbia, SC, she graduated from Richland Northeast High School and attended Midlands Technical College and the University of South Carolina. In her spare time, she loves to spend time with close family and friends. From Columbia, SC, Donnie graduated from Airport High School and served in the U.S. Navy for five years. Donnie has been with HHHunt since May 2015 and in the maintenance industry over 18 years. His favorite hobby is riding his Harley-Davidson, and he is a member of the Combat Veteran’s Motorcycle Association. Taylor joined HHHunt in July 2016 and has worked in property management for over five years. Born and raised in Lexington, SC she graduated from Lexington High School and attended Midlands Technical College. In her spare time, she loves to spend time with family and friends on Lake Murray and taking care of her sweet dog, Riggs. Allie started with HHHunt in April 2018 with a short but fulfilling experience in property management. Even though she calls South Carolina home, Allie spent several years living in Knoxville and Atlanta. She attended The University of South Carolina and is a huge Gamecocks fan! Allie likes to spend her spare time either on the lake with friends or going on off-road Jeep club trips with her dad. 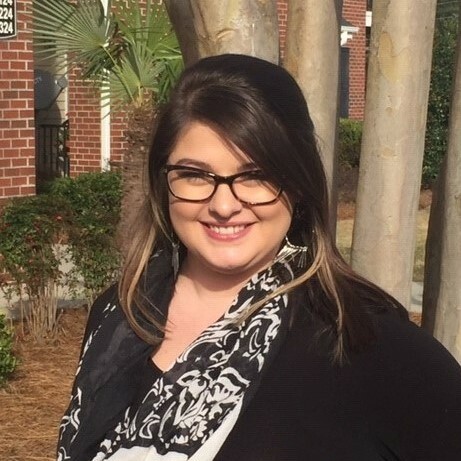 Hayley began her career with Hhhunt in March of 2019. She graduated from the University of South Carolina with a Bachelors of Science in Hospitality Management. She has worked in customer service for over 5 years and loves working with and meeting new people. In her free time, she enjoys relaxing at home with her dogs and cats, and visiting her family in her hometown of Clinton, SC. Ollie has been enjoying his experience with HHHunt since January 2018 and loves being a part of the Abberly Village Team because we treat each other like a big family! From Columbia, SC, Ollie has been in the property management industry for over seven years. In his spare time, he enjoys spending time with his kids. John has been with HHHunt since March 2018. He previously worked in property management and is enjoying his time at Abberly Village. John graduated in Germany but found his way back to South Carolina where he was born. In his spare time, he enjoys being with family and friends. 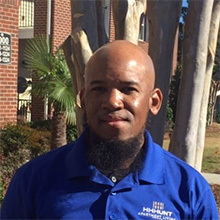 Terrel joined HHHunt in November 2018 but has been in the industry since 2012. He was born in Jersey City, NJ but was raised in East Orange, NJ. He made his way to Florence, SC in 1996 where he attended Florence/Darlington Technical College. Terrel’s interests include trail hiking, swimming, and fishing. He also enjoys being a counselor for adults and youth.